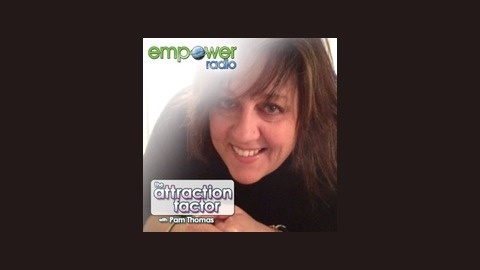 "The Attraction Factor" - we all have it and it’s not what people see on the outside, but what comes from the inside. 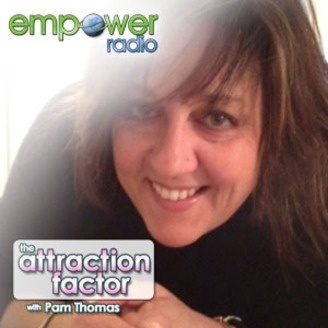 This show is here to support you in amping up your own attraction factor by blasting to bits the “not enough” messages, helping you to claim or re-claim your own personal power, joining with you to kick fear and negative thoughts to the curb. Join us each week for practical tips, ideas, insights that you can put into use right away! We all have amazing gifts and when we are not in connection with those gifts, no matter what we have in our life or how wonderful it may seem from the outside, there is a deep disconnect or a feeling of longing....longing for something better, something more fulfilling. Cue the question, "What do I want?" and the response..."I don't know." Join Pam as she interviews transformation coach and lifestyle expert Eva Werk and as they discuss how to stop the wondering and begin to explore your gifts and how to action.